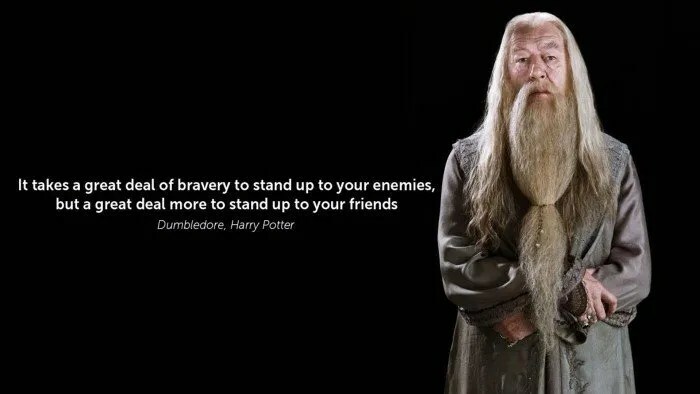 In the Harry Potter series, Dumbledore explains to Harry that there comes a time when you must choose between what is right, and what is easy. 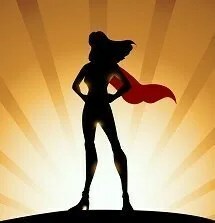 For me, the choice is most difficult when I must either publicly take a stand or keep my convictions to myself. Even when I know I’m right, it’s not easy. Far too often I worry about embarrassing myself, or my friends and family, or getting my facts twisted around and not making my point clear. Sometimes when I am definitely in the minority, I fear maybe I’m NOT right. When it comes to our diet and eating habits, there is a lot of controversy over what we should and shouldn’t eat, at least as far as environmental and sustainable practices are concerned. 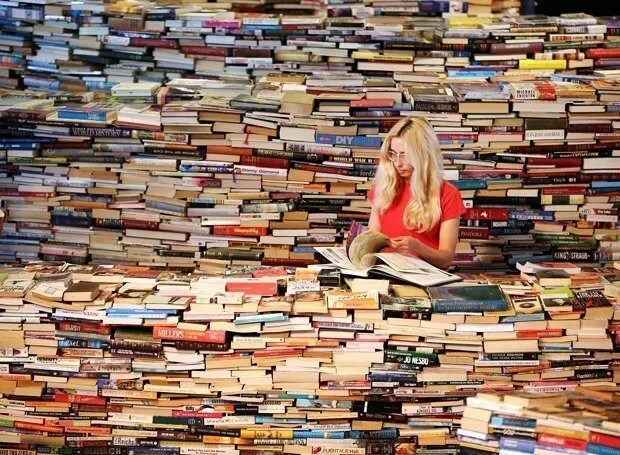 I’ve tried to do my due diligence in researching the various topics, but all the information can be very convoluted and overwhelming at times. Fish is one particular area that desperately needs more attention, focus, and action. Some populations are in dire straits, and these animals need someone to take a stand for not just their protection, but the entire ocean ecosystem. Unfortunately for fish, they aren’t thought of as particularly charismatic, or even worthy of our attention. So, the plight of the bluefin tuna often goes unnoticed, un-cared, and blatantly ignored. Because, who cares about one stupid fish? Well, I do! 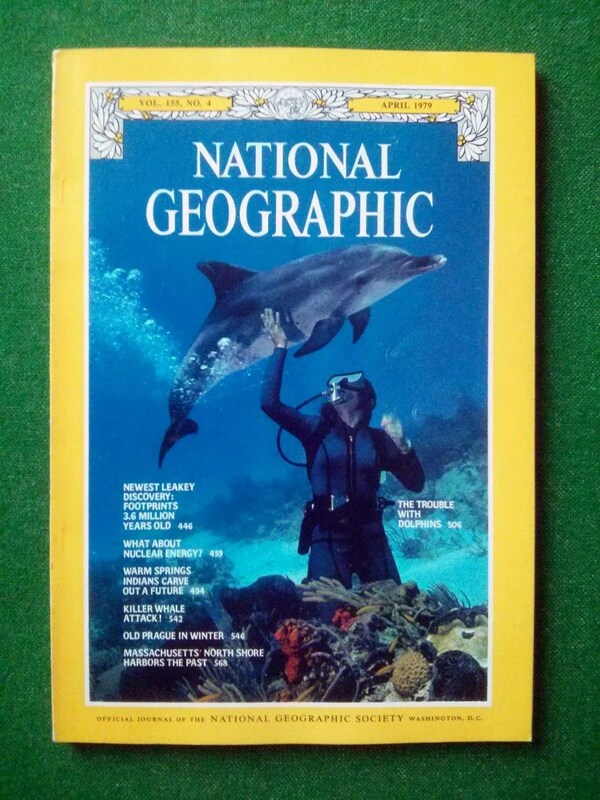 There are many others, too, but I am willing and proved last month that I am capable of standing up for sustainability and healthy practices for our oceans. First, I want to share some of the frustratingly disturbing facts I’ve learned over the last few months. While preparing for my discussion on Fish in my “Eating Green” component for EarthFit, I watched several documentaries and read a few books on the subject. The book/movie that stuck with me the most was “The End of the Line” by Charles Clover. 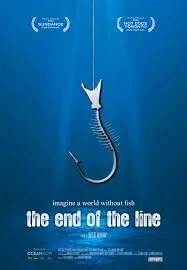 His depiction of how fisheries use trawling nets in the ocean that literally scrape the ocean floor and kill thousands of marine animals from dolphins to sea turtles was eye-opening. But reading about the collapse of fish stock along the Eastern seaboard of Canada and the United States really demonstrated how serious this issue is. Many of these cities depended on the fisheries as their main source of income and industry. Scientists were concerned that fishing practices were too gluttonous and warned the government that lower quotas were needed, but they were either ignored, or not taken seriously, and in 1992, fishing fleets, fisheries, markets, and whole towns were essentially shut down simply because there were no more fish. Period. 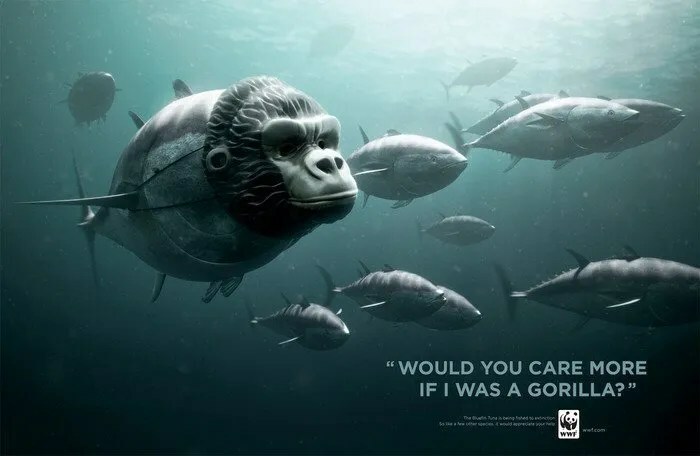 So, not only did we as humans endanger the lives of fish and the ecosystem the fish once thrived in, but we squandered a way of living for hundreds, if not thousands of people who depended on this commodity for their income and well-being. At least we seemed to have learned our lesson, and it seems that the West Coast fisheries are under stricter requirements and quotas to ensure safe practices and sustainable methods are employed. Because of these regulations, a large majority of wild caught fish to win the approval of the Marine Stewardship Council comes from the Pacific Northwest. Let me explain the insanity and absurdity of this attitude. 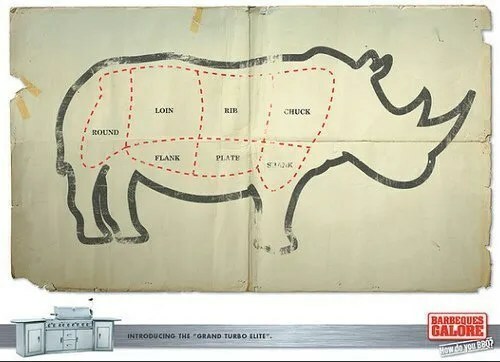 How many of us would continue to eat at a restaurant that served rhino burgers? 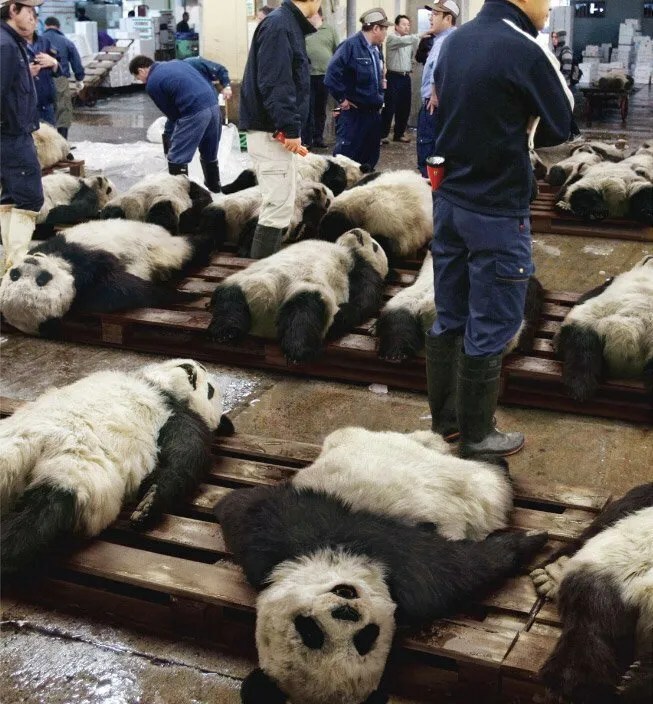 What would you do if you came across a butcher shop that served panda meat? 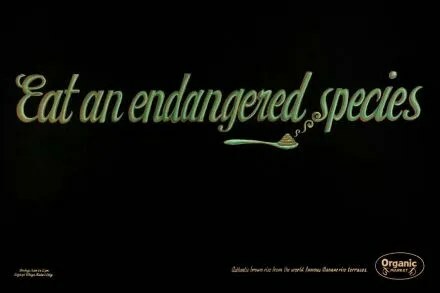 We would fight tooth and nail to get these places shut down, or at the very least, STOP serving endangered species on their menus. So why is the bluefin tuna different? Why would we get in an uproar about rhinos, but shrug our shoulders at tuna? Would you tolerate pandas being sold for food? Perhaps we all need a reason to care. 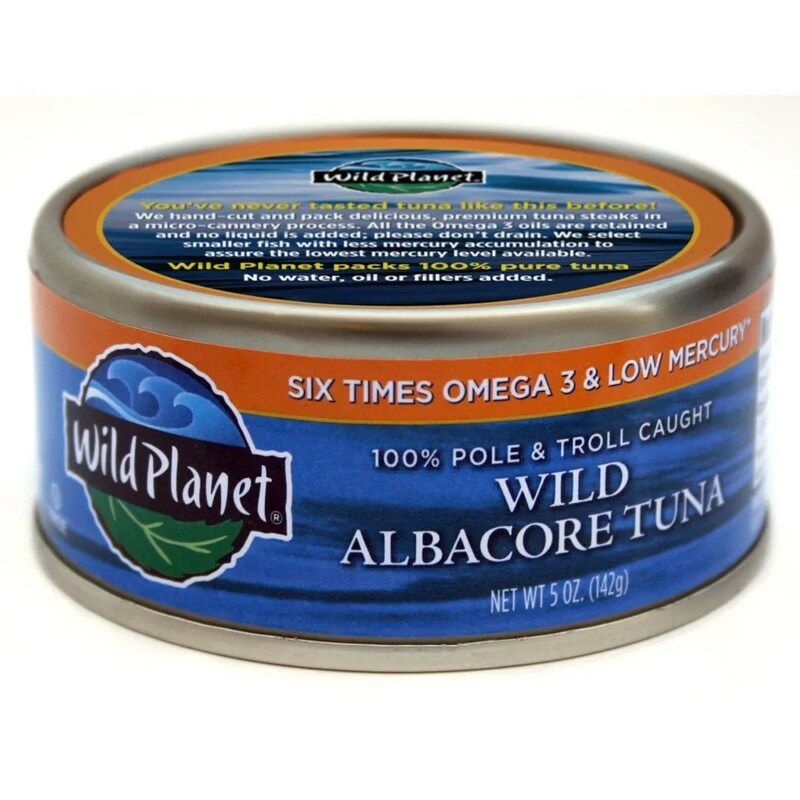 Well, did you know tuna is considered an apex predator of the ocean? Cut them out of the ecosystem, and the whole thing will eventually collapse. Or how about this? Did you know that TUNA is the reason for the dolphin hunts of Taiji? This is serious. Despite public opinion, the real reason fishermen hunt dolphins is for what they consider “pest control”. They blame the dolphins for the declining fish populations, so the best way to stop the Japanese dolphin hunts isn’t to boycott SeaWorld, but to boycott the fisheries of Japan. While they aren’t the only country still harvesting bluefin tuna, they are one of the largest consumers of the fish, as well as many others that are facing extinction. Do we all care now? All the pertinent information I could muster was put in my presentation for EarthFit, which I gave at the International Congress of Zookeepers last month. 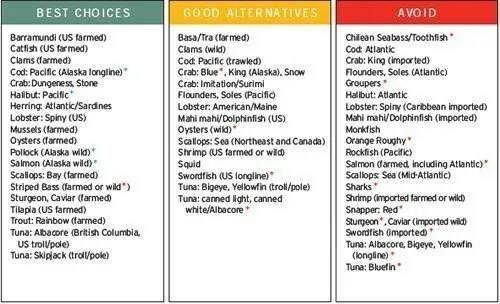 I needed to be contrite and concise, so I boiled all the information down to my Fabulous Five choices in seafood (Alaskan salmon, albacore tuna from BC or US, farmed mollusks, farmed trout and catfish from the US, and Dungeness and Stone crab), and my filthy four (shark, orange roughy, Chilean sea bass, and bluefin tuna). I was nervous about sharing some of this information with Europeans, even zookeepers and conservationists, because there are still a lot of non-sustainable practices flourishing in Europe. 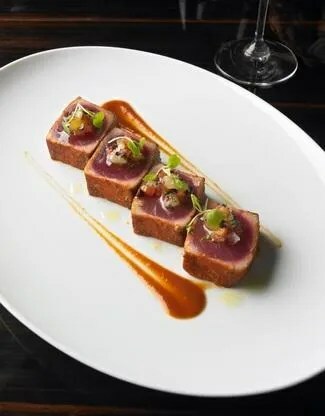 Since the only likely sustainable source of tuna in the world is from the Pacific Northwest, I wondered if I would encounter tuna on a menu at all in my travels. I was prepared to walk out of any restaurant that served anything on my “Filthy Four”. Unfortunately, I did come across a situation, and more unfortunately, I wasn’t able to simply walk out. We were in the middle of the river, and eating dinner with my family and another couple on the cruise. The chef has prepared a sampling of ahi tuna to prelude dinner. I asked the maitre d what type of tuna it was, hoping beyond hope that just this once, they had opted for the less local choice and shipped in sustainable tuna. But when he came back with an answer, my heart dropped. It was indeed bluefin tuna. In that moment, I had a decision. Of course, I wasn’t going to eat it. But should I say anything? The easy route would have been to sugar coat my repulsion. Because I hate conflict, and here I was in public with my family and a couple of strangers. I didn’t want to make them uncomfortable. But this was a defining moment. It was time bluefin had their champion. If not me, then who? And if not now, then when? I stated firmly and decisively that they should NOT be serving bluefin tuna, as it was a critically endangered fish and that I wanted to speak to someone about their sustainability practices. The maitre’ d removed our plates and the couple joining us asked me what the problem was. Again, this was something of a personal dilemma because as someone who suffers from anxiety and self-esteem issues, talking to an unknown audience in an impromptu way was very unsettling. But I had already built the ark, now I needed to board it. I told them that bluefin tuna was endangered and before I even finished my statement, they requested the tuna be taken away as well. For the rest of the evening, we shared our love of nature and the environment with this couple from Oklahoma. The incident had opened a great conversation between us, and they seemed genuinely interested in hearing more about ways they could help be more conservative toward the oceans. It took a couple of days before the hotel manager was able to sit down with me and talk about my issues. He seemed sympathetic to my concerns, and I gave him a SeafoodWatch Card, asking him to please consider choosing fish from the “Best Choices” and “Good Alternatives” lists. He was kind enough to listen to my rants, and while I recognize the “Best Choices” were primarily from the U.S., making sustainable choices a little more costly and difficult to obtain, I felt good about sticking to my guns, even when on vacation. You never know when the opportunity to take a stand will present itself. I think Dumbledore would be quite proud. I agree, that was a very difficult situation. The choice to deal with an uncomfortable confrontation by doing the right thing or to be silent was hard for me to even witness. I’m proud that you didn’t take the easy way out, and everyone will agree that if more people in the world did the right thing and not the easy one, the entire world would be a much better place. I, too, was and am still, proud of you. Please keep on doing all you can to educate people. You have a wonderful gift and an admirable passion.